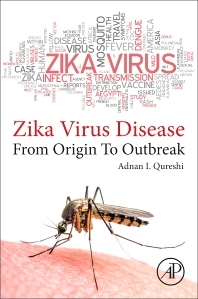 Zika Virus provides an authoritative account of one of most fascinating viruses of the 21st century, covering all the main points. It includes coverage of clinical manifestations, such as fever and fatigue, but also delves into neurological manifestations like acute demyelinating neuropathy. In addition, the book discusses new evidence that suggests that Zika fever in pregnant women can cause abnormal brain development in fetuses by mother-to-child transmission. The Zika virus infection has become one of the first where women are actively discouraged from getting pregnant. Readers will find this book to be a comprehensive resource on the topic. He has written over 540 scientific publications in prestigious journals including the New England Journal of Medicine, Lancet, Archives of Internal Medicine, Critical Care Medicine, Neurology, American Journal of Medicine, and Circulation. In addition, he has made over 1300 presentations in various national and international meetings. He has served as an invited speaker at numerous national and international forums. He has also been invited as visiting professor to universities in the United States and abroad. He is the editor of several textbooks and serves on editorial boards for several peer-review journals. He is one of the pioneers in the field of Fetal Diagnostic and Interventional Neurology which provides the necessary and unique background for studying the effect of Zika virus on fetal neurological development. He is the principal investigator of a large multinational clinical trial funded by National Institutes of Health. He laid the foundation of the Zeenat Qureshi Institutes in several countries. Since its inauguration, the institutes have led the way in cutting edge research in epidemiology, clinical trials, and basic research.